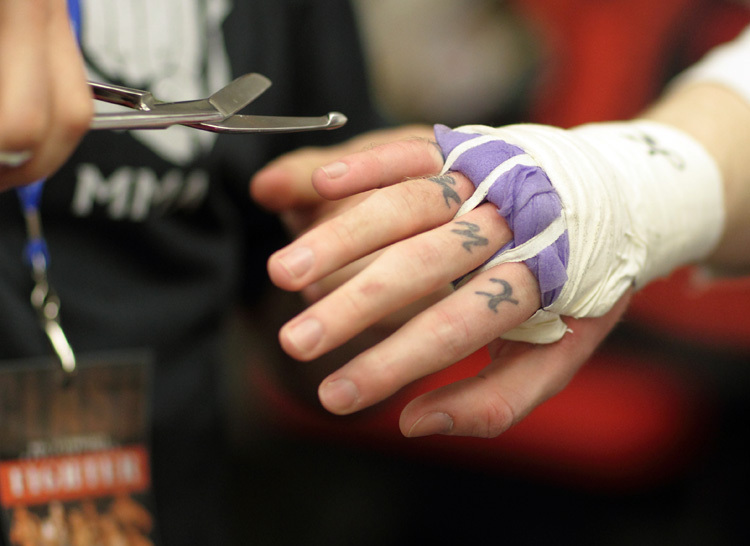 Shot the Cage Fighters at U.S. Cellular Coliseum Saturday night. There were 13 fights on the card. Show-Me’s in downtown Bloomington was hosting a post fight party and supplied the ring girls for all the matches. Ashley & Lexi were a huge crowd favorite and they were as classy as they were beautiful. The first and last fights were the most competitive and both went to the officials scorecards. 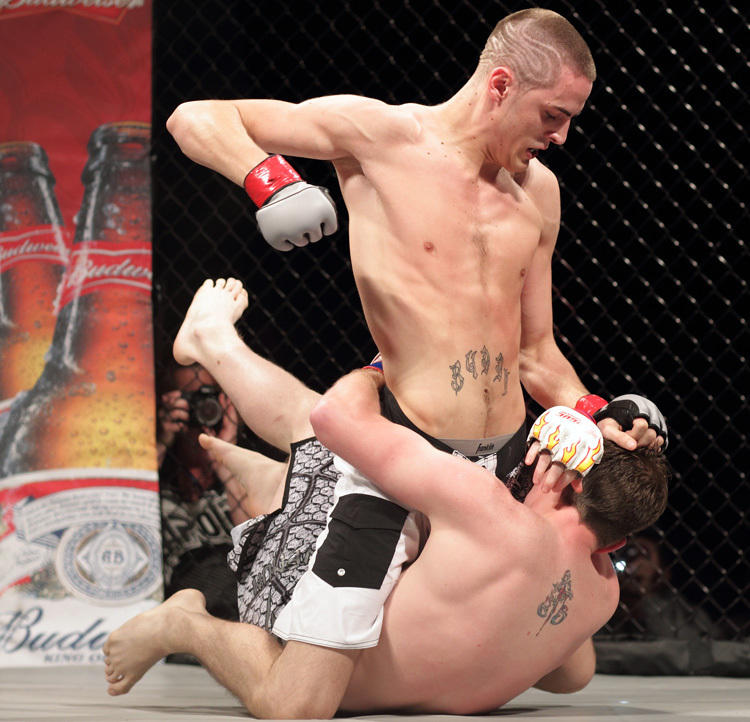 Joe Davis won a unanimous decision over KC Pitithory in the 170 lb class. 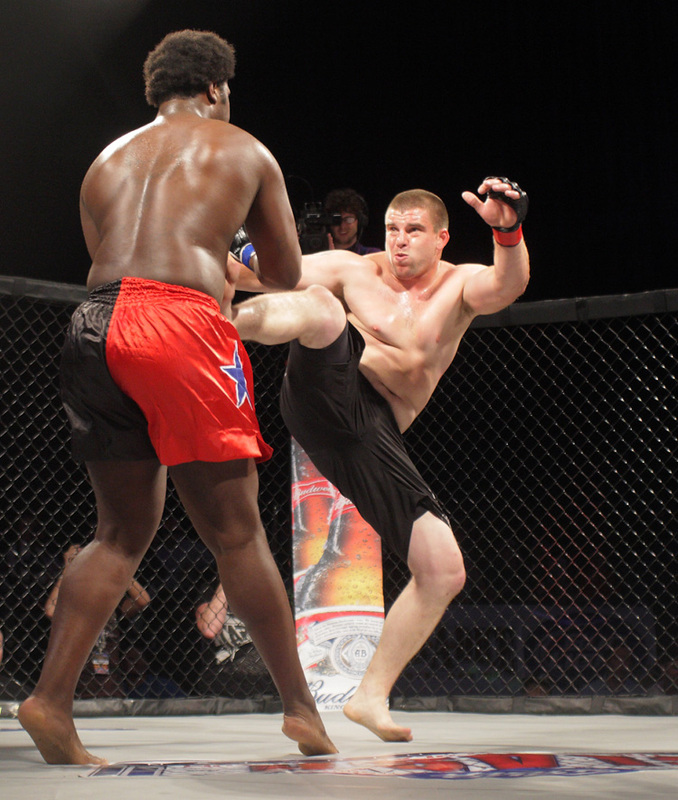 After Buddy McGinnis (13-0-1) dominated Brandon Swank in the 145 lb title fight there was a classic heavyweight battle. 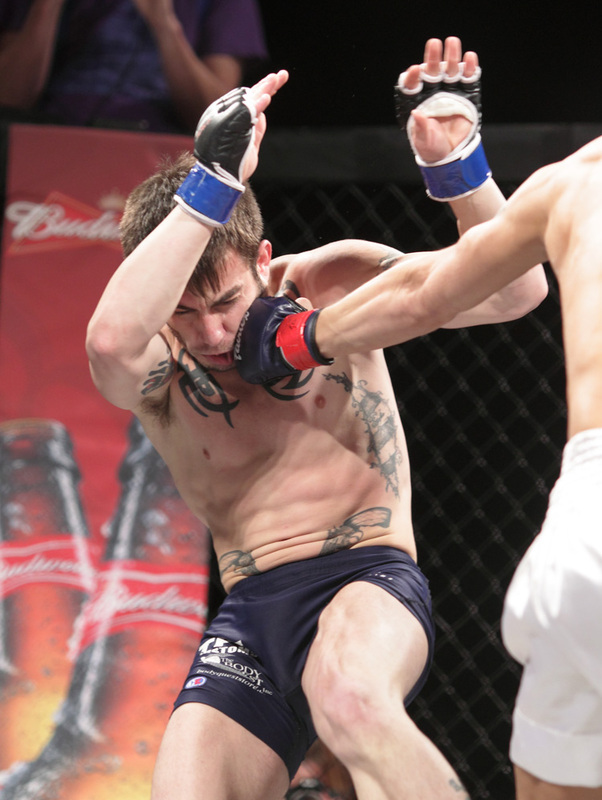 Dave Swafford battled Brian Schell who had wrestled in a tournament earlier that day in Chicago and then drove to Bloomington and arrived only 15 minutes before his fight. He put up a valiant effort but lost on judges decision. 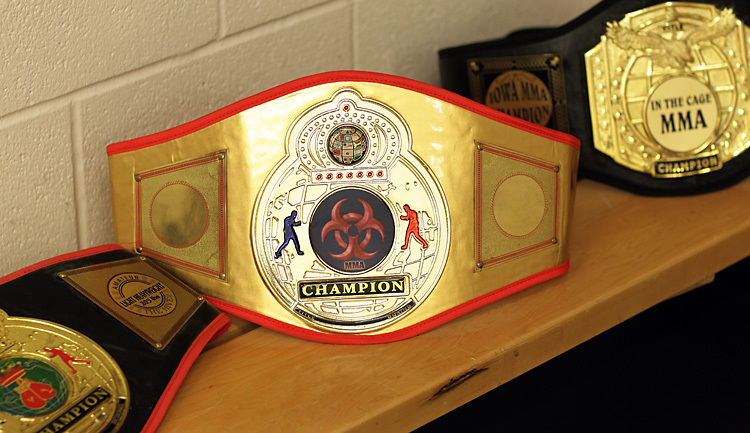 The Hive from Bloomington, IL promoted the event and had several of there fighters enter the cage. It was great to spend an evening with my good friends John Butler and Bart Rogers who manage the Coliseum. It is always a challenge to photograph the fights when shooting thru a chain link fence. My Canon 1D Mark IV with 35mm f/1.4 L lens, 85mm f/1.2 II L lens and 135mm f/2.0 L lens did there job. Having the best equipment makes shooting in challenging lighting conditions look easy. Update: Scroll to the Bottom of this post for a Montage Video.